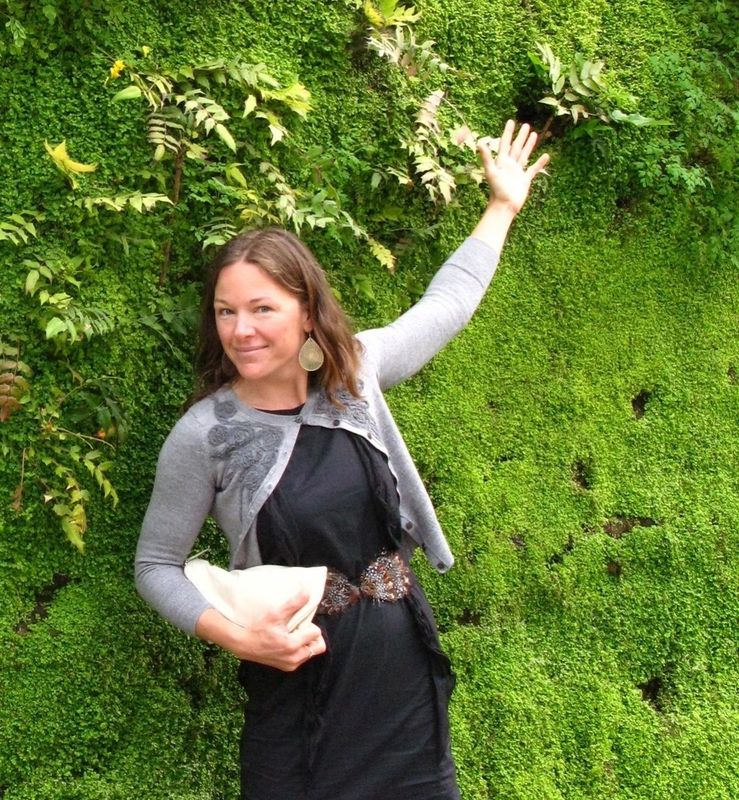 Inspired by design, Rebecca in Paris in front of a famous Patric Blanc living wall. Marks Foods reception desk vertical garden by by Rebecca Sheedy, Floraform Design Seattle, framed Florafelt Compact Kits. Rebecca selects plants as carefully as Marx Foods shops for their clientele. The garden includes Homalomena, Medusa Bromeliads, Kangaroo Paw Fern, Vresia (a mottled leaf bromeliad), Spathiphyllum, Anthurium, Aglaonema (has a good sprawling habit and fills in the edges"), Philodendron and Schefflera 'Soliel,' which has stunning chartreuse leaves. Rebecca Sheedy of Floraform Seattle uses two Florafelt Compact Kits to create a larger install. 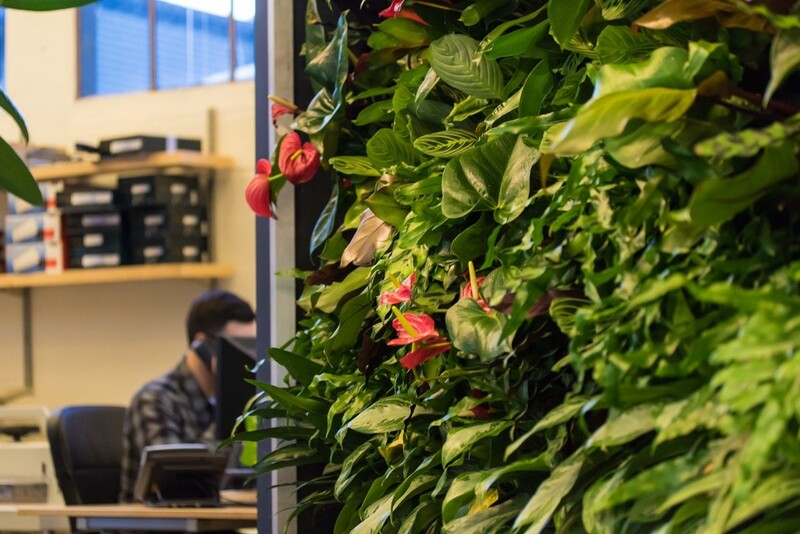 Green healing: A Seattle doctor's examination room vertical garden by Rebecca Sheedy, Floraform Design Seattle, wall mounted Florafelt Compact Vertical Garden Kits.